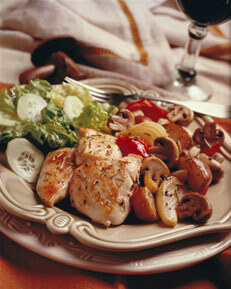 Mushrooms are a significant source of dietary nutrients. They are low in fat and carbohydrate, and contain many trace elements, most importantly selenium. Mushrooms are also an important source of some B group Vitamins (riboflavin, niacin and B6), and are especially important for vegetarians. Low in carbohydrate – the carbohydrate that is present in the form of fibre. A good to excellent source of some B group vitamins. The selenium level in mushrooms is derived from the growing medium (primarily wheat straw and chicken manure). Selenium is an important ingredient within chicken diets.The Recommended Daily Intake for selenium is 70-85 ug per day, and a single serve of mushrooms (68g) would deliver 26 ug, so such a serving would provide one third of the RDI. This is very good as most vegetables have less than 1 ug per serve.Selenium is an essential trace element that functions as a component of enzymes involved in antioxidant protection and thryoid hormone metabolism (Thomson 2002).Preliminary findings suggest that selenium may have an anticancer effect in humans (Combs & Gray 1998), and animal studies indicate that selenium deficiency may decrease the resistance of the host to infection with certain viruses (Beck & Levander 1998). 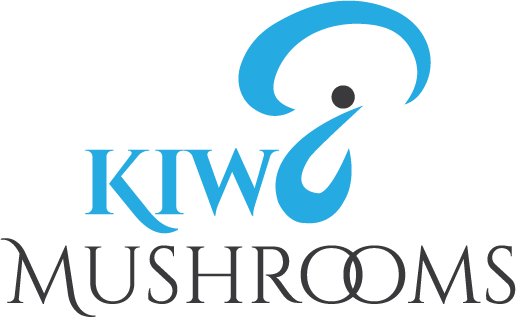 Mushrooms contain around 380 mg of potassium per 100g, so a single serve of mushrooms (68g) would provide approx 7% of the RDI.Potassium is a mineral your body just can’t do without. It helps maintain normal heart rhythm, fluid balance, muscle and nerve function.The US Food & Drug Administration recently stated that diets containing foods that are good sources of potassium and low in sodium may reduce the risk of high blood pressure and stroke.While bananas are generally recognised as a good source of potassium, mushrooms actually have a higher level. In fact one portabello mushroom contains more potassium than a banana. Mushrooms are a significant dietary source of riboflavin (vitamin B2) and vitamin B6.One serve of mushrooms (68g) provides around 25% RDI of vitamin B2 and up to 90% RDI of vitamin B6.Riboflavin helps metabolise carbohydrates, fats and proteins, and is crucial for the production of biological energy. It is also necessary for the maintenance of good vision, skin, hair and nail (Kirschmann 1996). Riboflavin is involved in regenerating glutathione, one of the main cellular protectors against free radical damage (Murray 1996).For vegetarians, mushrooms are a good source of riboflavin.Vitamin B6 (pyridoxine) plays a role in the synthesis of antibodies, which are needed to fight many diseases and are produced by the immune system. It helps maintain normal nerve function and is involved in the formation of red blood cells.Vitamin B6 is also required for the chemical reactions needed to digest proteins. The higher the protein intake, the more the need for vitamin B6. Mushrooms contain niacin, with one serve (68g) providing around 12% RDI.Niacin, also known as vitamin B3, is important for the normal function of many bodily processes.Like other B vitamins, it is water-soluble and plays a role in turning food into energy, as well as in the metabolism of fats and carbohydrates. In conjunction with riboflavin and pyridoxine, it helps to keep the skin, intestinal tract and nervous system functioning smoothly.Mushrooms contain between 2 and 3 mg/100g, whilst most vegetables contain less than 1mg/100g, making mushrooms a good source of niacin for vegetarians.